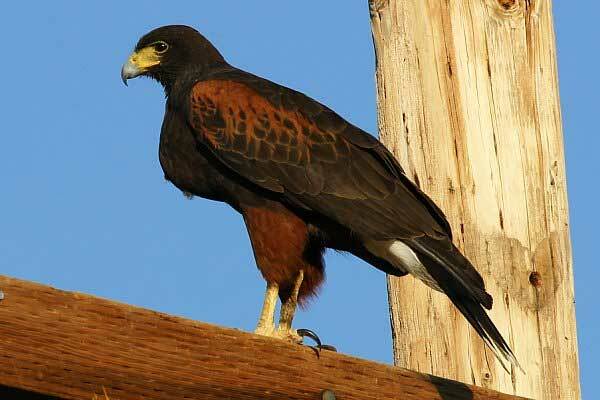 Harris' Hawk photograph by Robert Shantz Southwest of Tucson, Arizona, March 9, 2003. Harris's Hawks are almost always seen in small groups - these are family groups that hunt and nest cooperatively. Prey include rabbits and young quail. This is a characteristic raptor across the Sonoran Desert. Look for dark overall, maroon legs and shoulders and bright white patch/band in tail visible in flight.